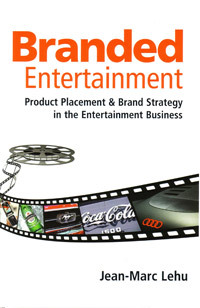 This book explores how product placement has expanded from its origin in novels into films, television, plays, books, shows and even computer games. He describes how, by exploiting the opportunities afforded by advances in technology, marketers will be able to spread messages across a wide range of multimedia channels. Chapter includes series and television programs, novels and plays, song lyrics, and branded videogames. Chapter 8 from Branded Entertainment by Jean-Marc Lehu, ISBN: 978 0 7494 4940 7 published by Kogan Page, $39.95. Copyright Jean-Marc Lehu, 2007. Reproduced by permission of Kogan Page. View more details about Branded Entertainment. Copyright © Jean-marc Lehu, 2007. All rights reserved.